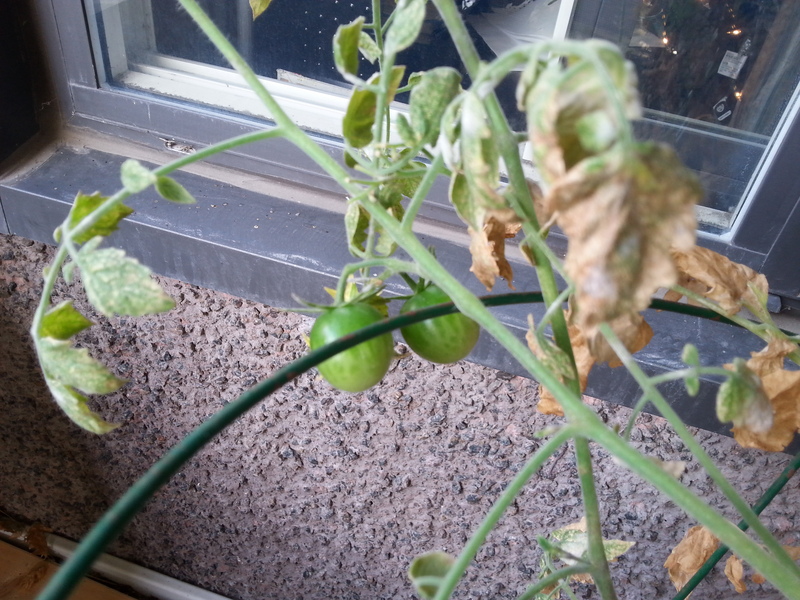 I have never been successful growing tomatoes on my balcony. Until this year. I bought two “mature” plants (about 1.5 feet high), and they have just kept giving all summer long. What’s different? The fact that they were more mature? That there were two? That they were grape tomatoes? Where they were placed? I don’t know. But I am happy to reap the harvest, and will try again next year. Who Knew that There is an “I” in Team? Love this twist on the wisdom of teams. In fact, every team is composed of “I’s,” each with a unique contribution to make. Quick. With the index finger of your dominant hand, draw a capital “E” on your forehead. This may reveal your decision-making style and approach to conflict management according to Francesca Gino. Ms. Gino was recently interviewed on CBC‘s Spark about her book – Sidetracked: Why Our Decisions Get Derailed and How We Can Stick to the Plan. You can listen to the short interview here. It starts at about the 1/5th mark. Did you write the letter “E” so that you could see it, or so others could see it? Ms. Gino maintains that when you draw the “E” for yourself, you may have difficulty understanding other people’s point of view. When you draw it so that someone else can see it, you may easily see the other person’s perspective. Me? I drew the “E” so that I could see it. My 16-year old daughter, however, drew it so others could see it. Both of us were surprised by this. I have been feeling sooooo completely “other-oriented” in the past few days… taking my mother to a doctor appointment, driving my niece to the airport, taking the cat to the vet, doing some extra work from home, listening to my daughter wrestling with a big decision, and so on. And she, like I said, has been preoccupied with a personal choice she is making at the moment. Does age determine your perspective? Do young people tend to be more “other-oriented” due to peer pressure anyway? Are older people less “other-oriented”… well, because they are tired of thinking about what everyone else thinks? Or is it role? Do mother’s become more “self-oriented” as their children grow up and need them less? How would a “good boss” draw the “E” on his or her forehead? Is your perspective situational or circumstantial? Am I “self-oriented” these days because circumstances have demanded that I be “other-oriented?” Will I become more “other-oriented” after a little self-indulgence? If nothing else, my daughter and I had an interesting conversation about our decision-making styles and agendas of late! What do you think? Did you try the exercise before reading the article? What did it reveal to you?